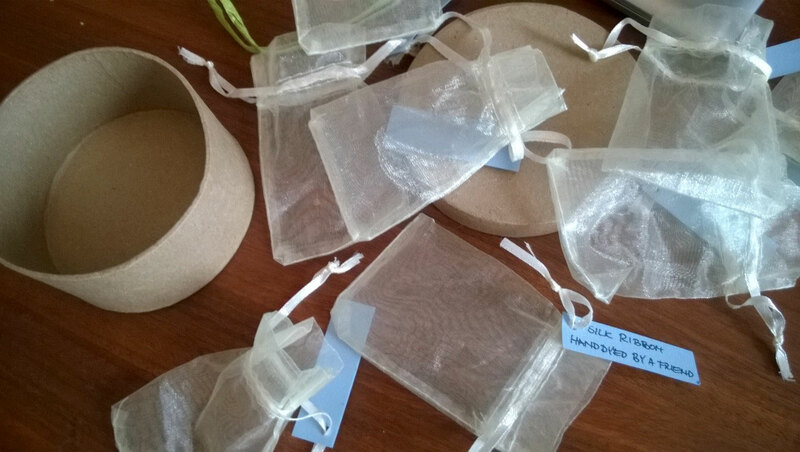 Small organza bags with labels. The parcel I received from Silke was beautiful in itself! 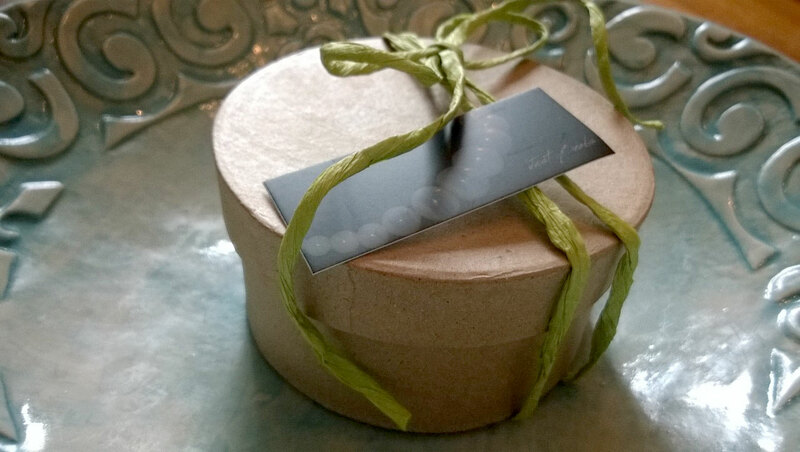 The brown rough textured box with spring green ribbons sat there on my kitchen table promising yet unknown delights… Ah, the sweet anticipation! 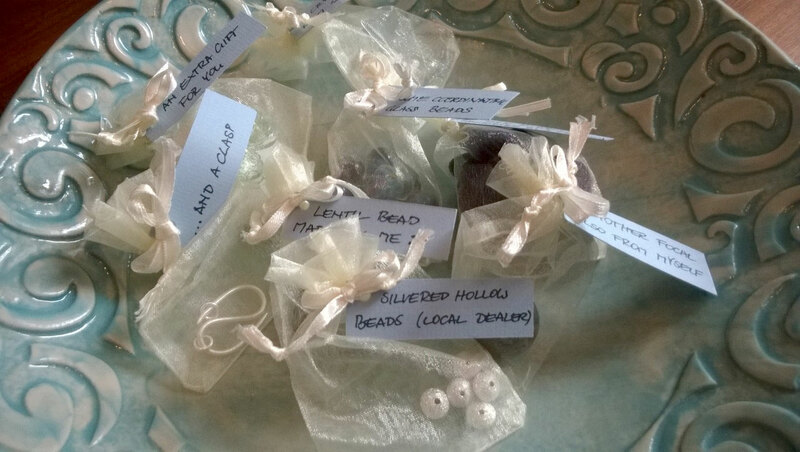 I opened the parcel and found quite a few small organza bags with beads, clearly labelled with the delightful contents. 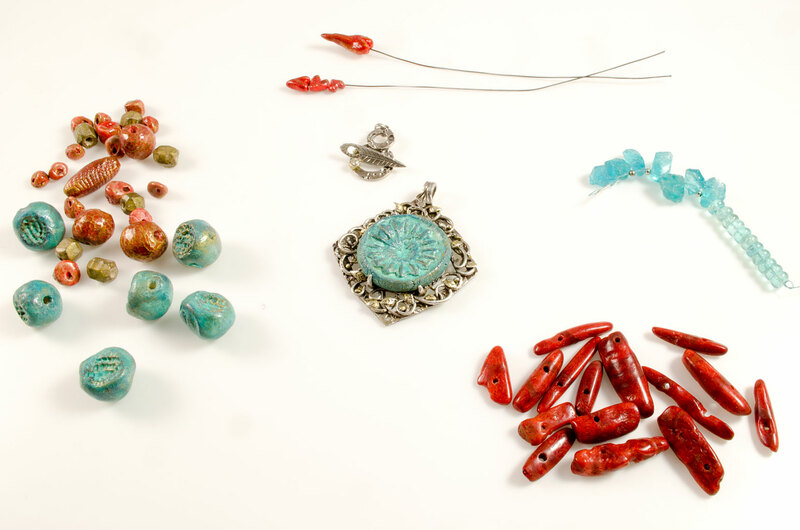 Once I have picked up all the beads from their bags and get to admire them all together I am struck by the beauty of this symphony of harmonising colours Silke has put together for me! I am not exaggerating – the collection is amazing! 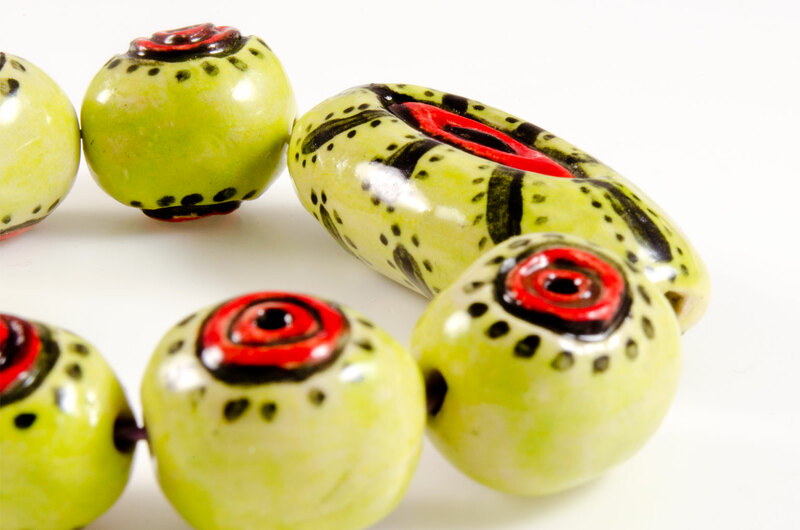 Silke has sent two focals which are lampworked beads she has made herself. One huge lentil and one round bead of generous size. 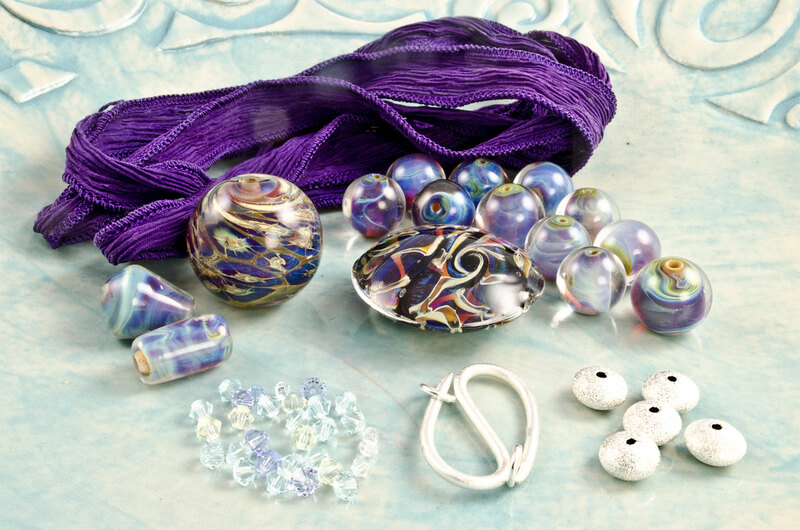 A collection of smaller lampworked beads to match, silk sari ribbon which a friend of Silke has hand dyed. Bright silver beads and clasp, shimmering pastel Swarovski Crystals. If this wasn’t enough, she also sent an extra gift to me which is a very stylish pair of glass/silver earrings in a cool green colour. 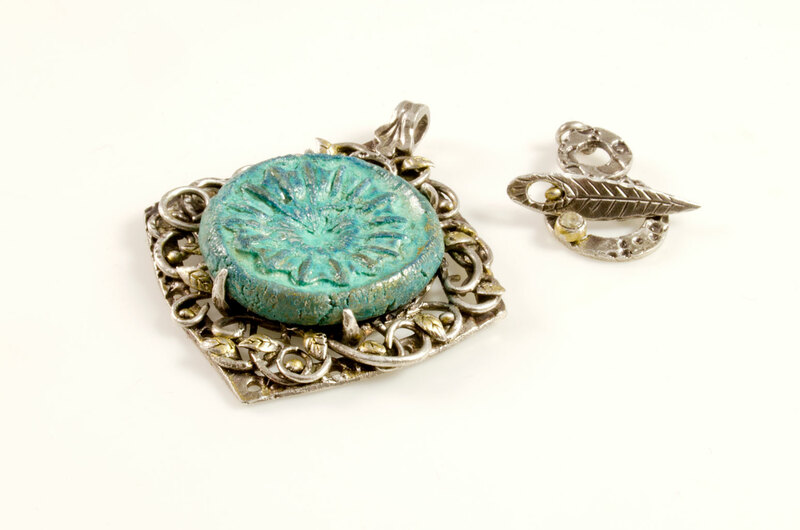 Close up of focal and clasp. 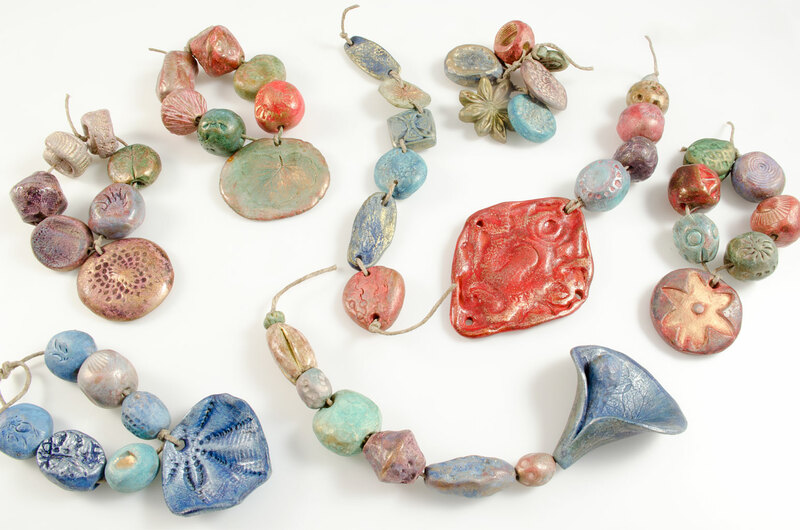 I will start off by showing you the beads I sent as both my Bead Soup Blog Hop partner Silke and I have received our soups now. 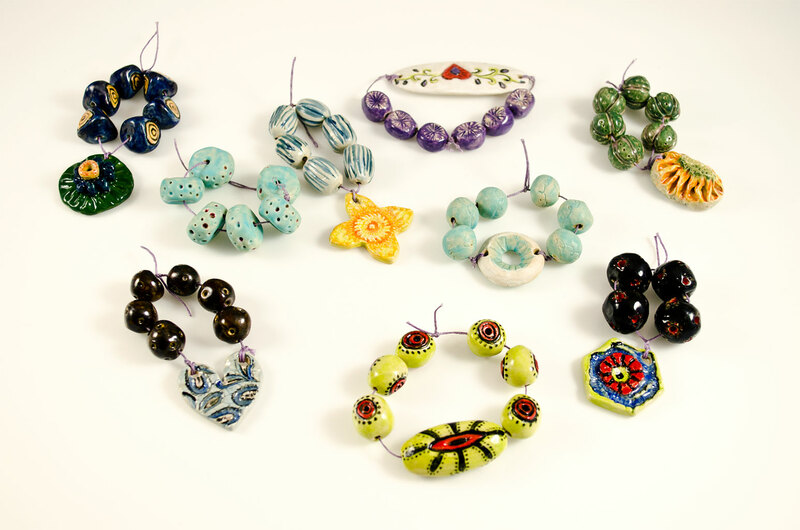 Meet my talented Bead Soup Partner Silke! 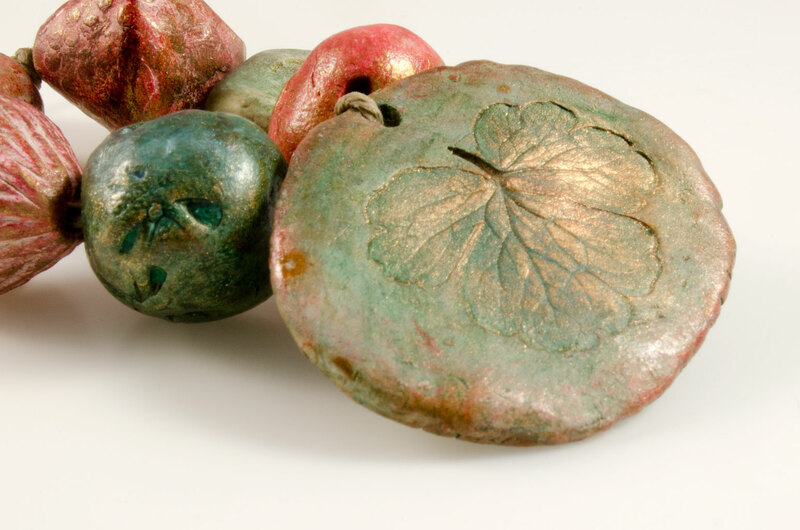 I have previously told you about the Bead Soup Blog Hop Party I am taking part in. Now, let me tell you a little bit about my partner in this swap: Silke from Kirchheim unter Technik near Stuttgart in Germany. 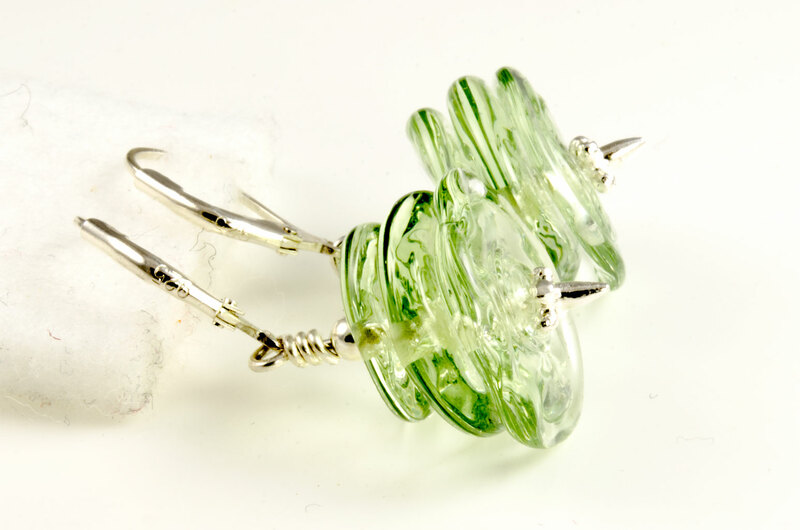 Silke told me that she got introduced to glass bead making via a friend in 2010. 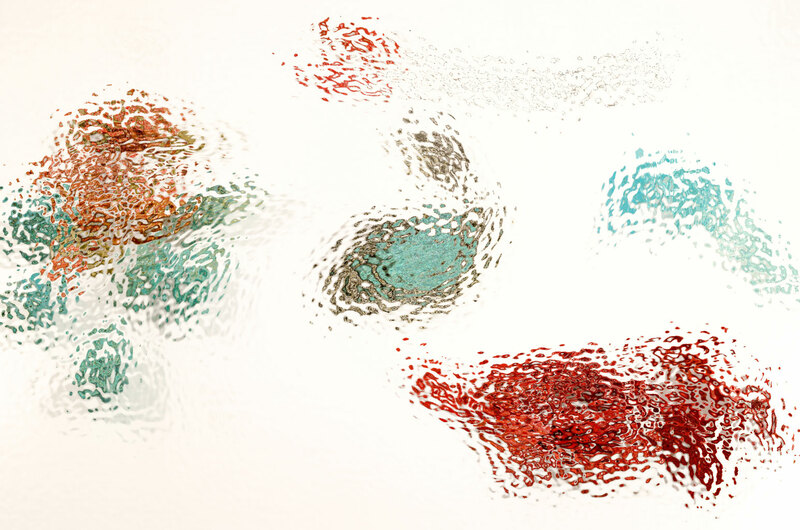 She was taught how to make a glass encasing by her favourite glass dealer, but is pretty much self taught. 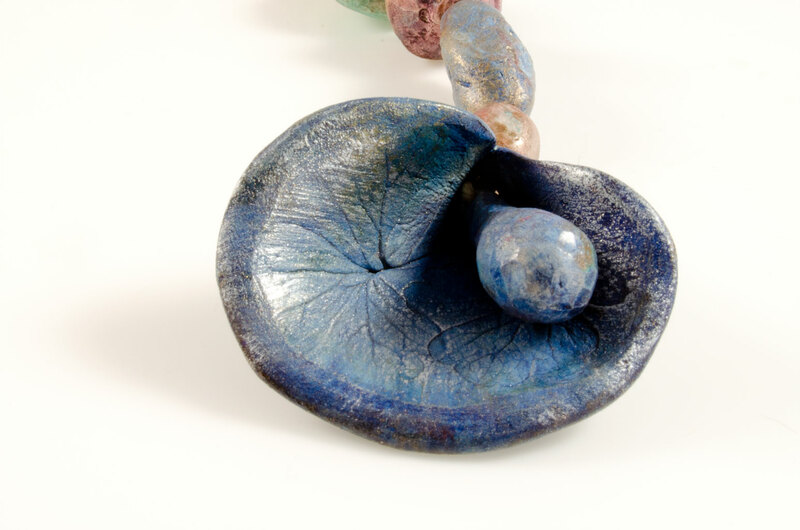 She has however attended some classes with a few talented artists/ teachers in the last few years ( such as Angela Meier (Switzerland), Jens Christian Kontrup (Denmark), Michael Barley and J.C. Herrell (USA)). 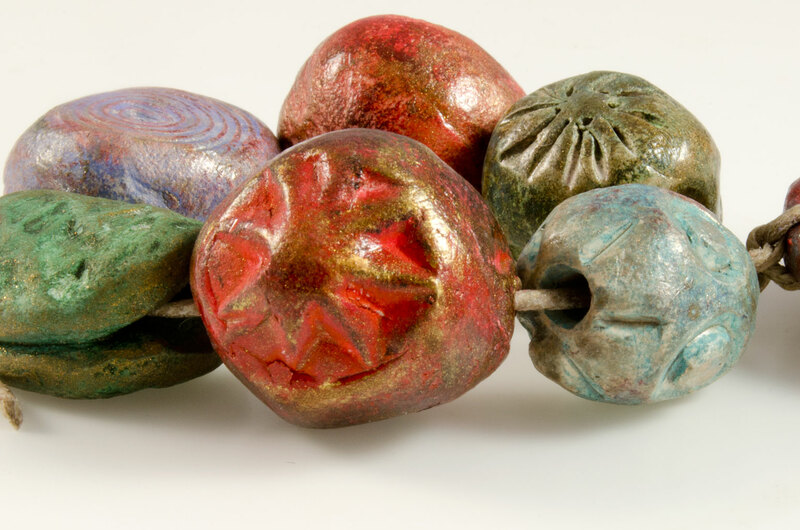 I asked Silke what her favourite type of beads were and she said that there were two: Silver glass (http://just-beads.blogspot.de/search/label/Silberglas) and Landscape beads (http://just-beads.blogspot.de/search/label/Landschaften). 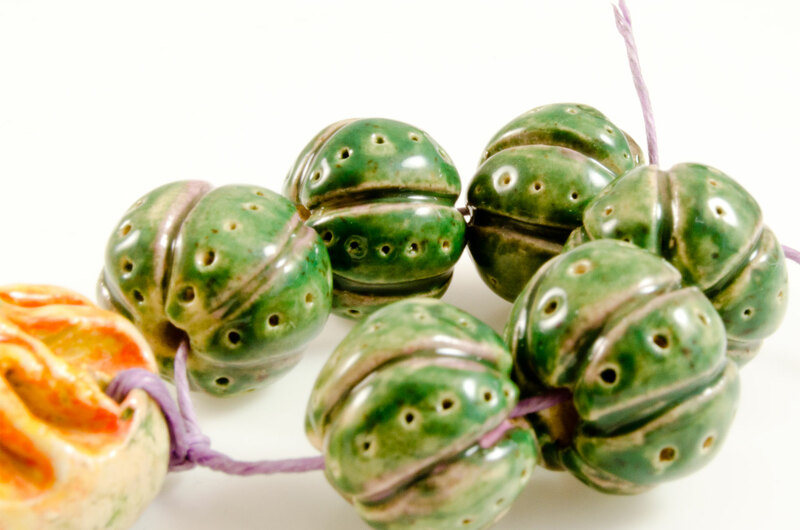 I have always admired the other worldly beauty of beads made with this technique. Silke’s creations are superb and she has promised to send me some for the swap! I look forward to the challenge and cherish the opportunity to admire her work in real life. 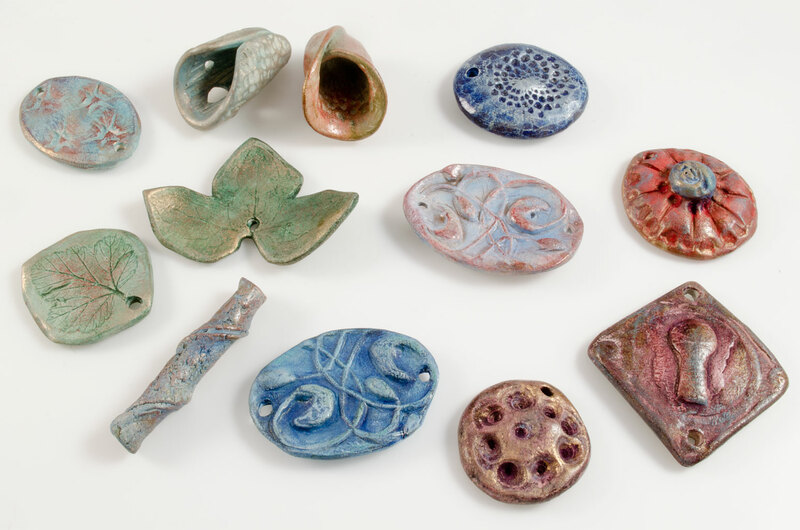 I thought I would post a little snap shot of some new head pins I have just collected from the kiln. 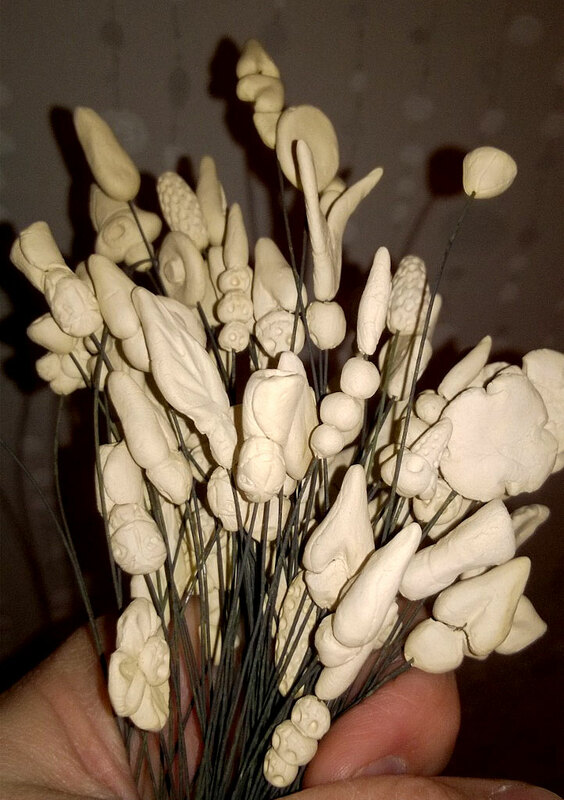 They don’t look like much yet, but I think these will be good fun when they are done:) Some of them are more of a sort of organic/plant type of design and they will be polished with gilders wax etc. I think I will add colour to the others with traditional ceramic glaze. A collection of sets of beads from my latest batch. 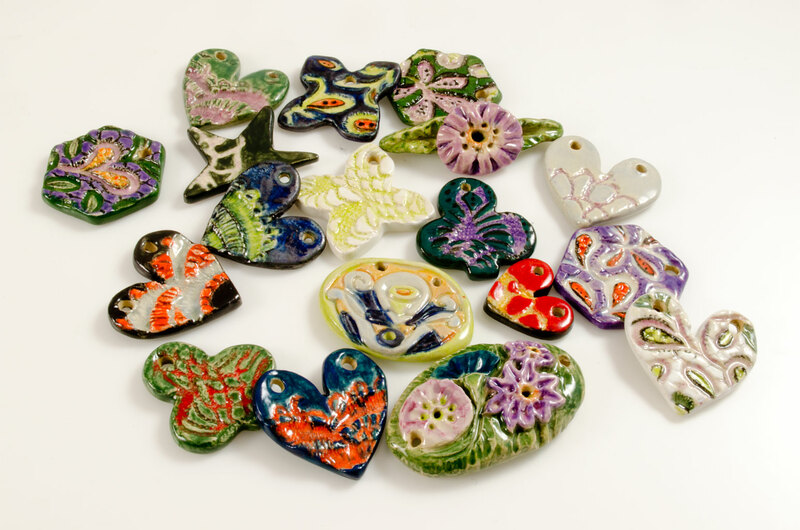 I am taking part in Lori Anderson’s Bead Soup Blog Party for the first time this year (it is in its 8th edition). 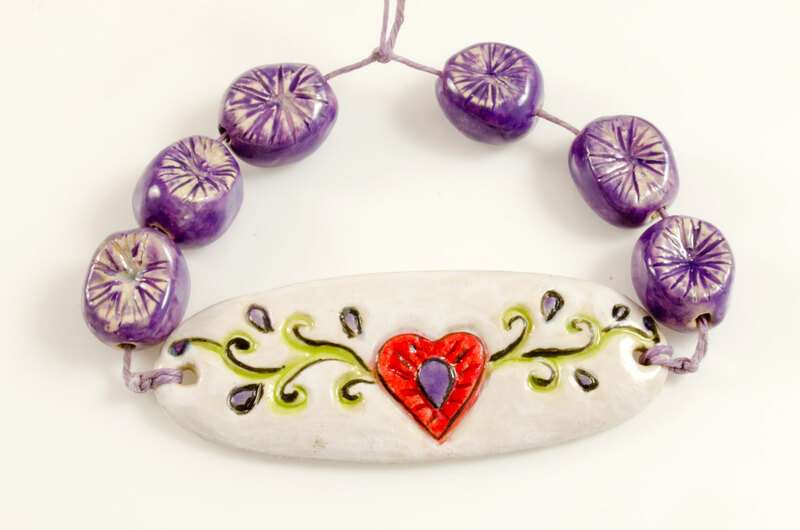 It is an event where you are paired up with another jewellery designer and you swap beads, create something from your new beads and then you both reveal your creations on a set date. The idea is that you are challenged by working with materials you may not have worked with before etc. Another goal for the challenge is to get people blogging. Lori is very thoughtful and have paired newbies like myself with experienced bloggers. I have been paired with a very talented lady called Silke from Germany. 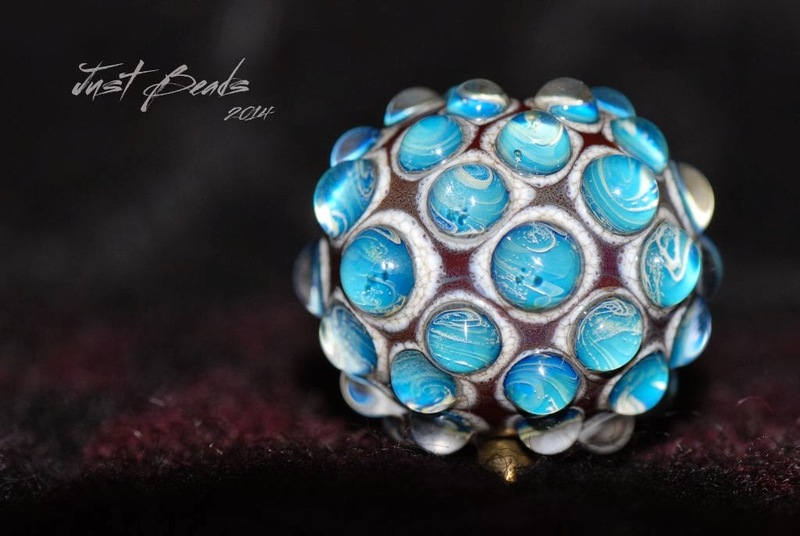 She is a lampworker and creates the sublimely beautiful glass beads (this is her blog:http://just-beads.blogspot.com)! She has promised to send me some beads she has made and I cannot tell you how much I look forward to admiring her work in person! 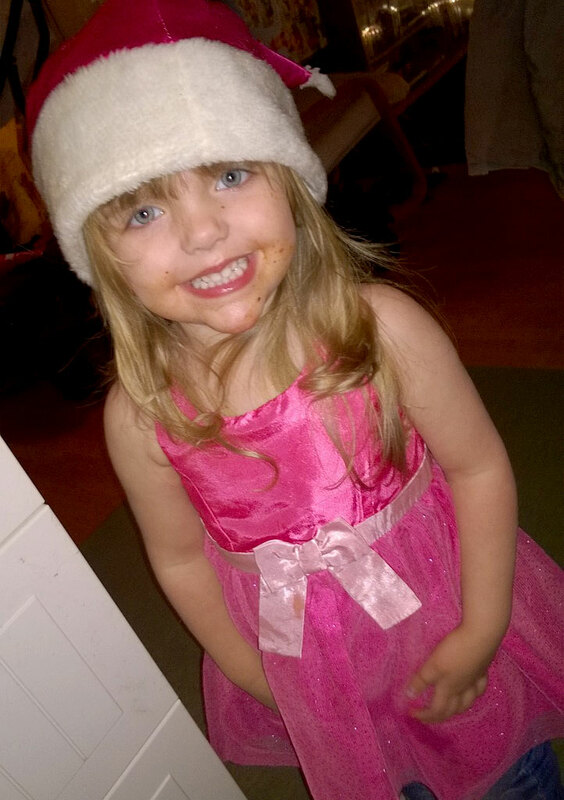 I will tell you a little bit more about my blog soup partner in another blog post. I thought I would post a few pictures of what I make. 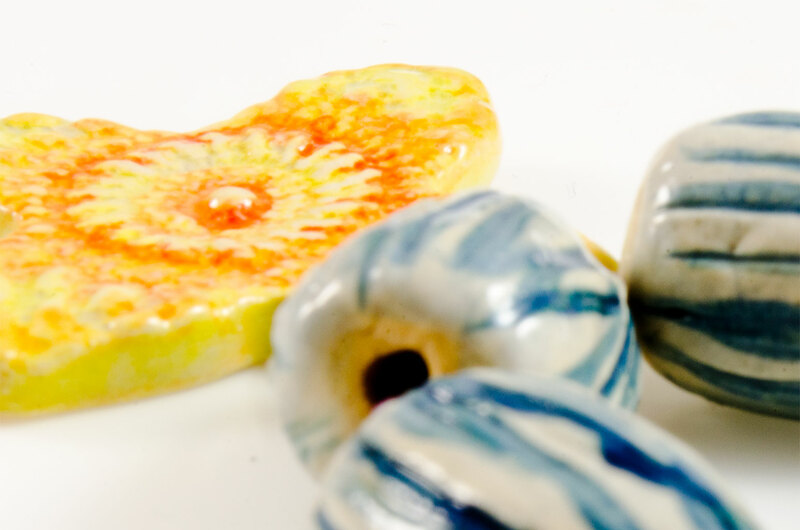 I’ll show you some sets of traditionally glazed ceramic beads today. 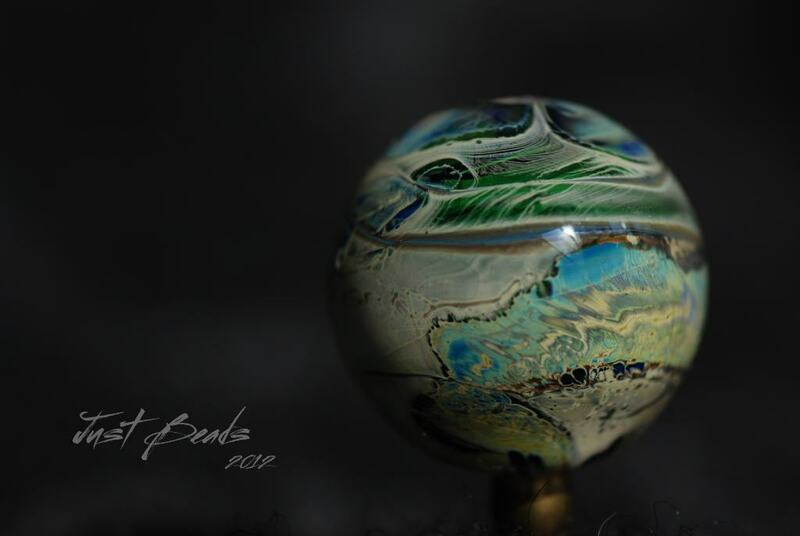 I will take more pictures tomorrow and show you some of my cold glazed ceramic beads.